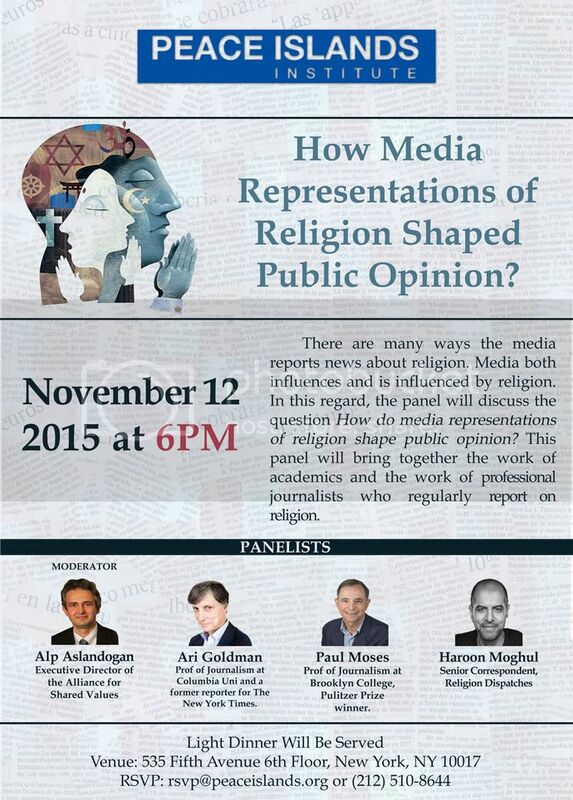 Home > Events > How Media Representations of Religion Shaped Public Opinion? How Media Representations of Religion Shaped Public Opinion? TO RSVP, email rsvp@peaceislands.org or call 212 510-8644.